There may be hundreds of reasons as to why the gaming industry has not lost its sheen yet across the globe – maybe they are well marketed; maybe they are guided better by the inputs of machine learning and artificial intelligence; maybe they seem to overwhelm the gaming aspirants by graphical interfaces; maybe they are able to win people’s confidence through localization and so on. However, the said reasons alone cannot be attributed to the growth of the gaming industry. Let us keep it simple. The trust and believe that it was able to win, due to the high-end security features, is the prime reason behind its survival beyond times up until now. Let’s see how the gaming industry has addressed the security concerns that it has. Many times, the online games played with multiple players located elsewhere increases the possibility of hacking and threat of similar cybercrimes. Right from the time when a gamer opts for a username while registering, a player’s data comes under severe security threat which may pave the way for millions of unimaginable cybercrimes. For example, if you want to register on a Rummy website, as much as it is important to know how to play Rummy, it is equally important to know if the website that you choose is safe and secure. A comprehensive security blanket that keeps the users’ data unrevealing to the outsiders is the order of the day and the gaming industry seems to have mastered it well. How Users Can Thwart Threats by Themselves? Before looking into the facilities which guard the gamers against potential threats like hacking, let us see what best the users themselves can do to thwart such attempts which can make the gaming companies’ job much easier. When you play Indian Rummy and other games which involve money transactions the following points need to be kept in mind. Make sure that effective and updated antivirus/antispyware software is installed in your PCs and mobiles. Make sure that you are playing only the authorized versions of the games downloaded from the reliable source. Let the username chosen by you not reveal any personal information and that the password is tougher to be ascertained by the hackers. Before the gaming device is disposed of or given away to others, ensure that all the personal data contained are deleted. Let the personal information not be revealed to your fellow players as they are virtual strangers to you in any case. Most hackers go after credit card details of the users which is very common when casual games are played. The big-name games do not have such issue normally and so the users need to know which one to choose and which one should be left out due to vulnerability. 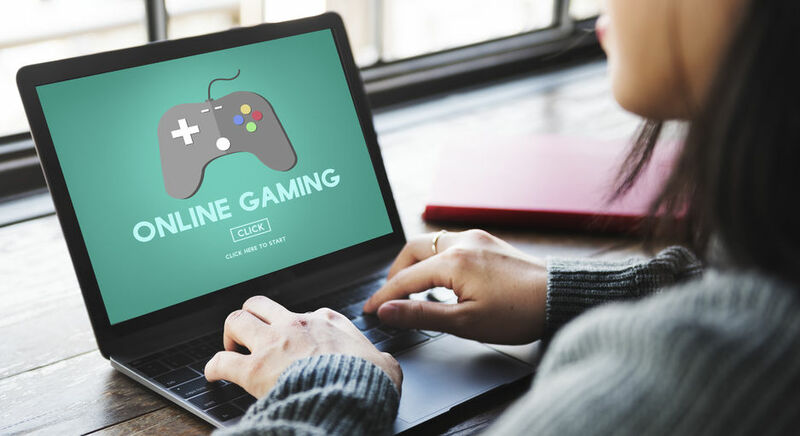 Make sure you follow these tips to avoid the most common attacks and continue to play online games securely. As per Larry Trowell, principal security consultant at Synopsys, the video game industry has to come up with robust security features every year in order to negate hacking. This includes implementation of signed firmware and anti-debugging software to defer piracy and hackers and runtime integrity checks to fight cheats. Interestingly, the gaming industry is slightly ahead of the curve in software security compared to other industries because they are bound to develop complicated copy protections and anti-debugging software to protect themselves against piracy. Also, they are well prepared for taking measures post cyber-attacks unlike other software industries. Let us have a quick look at how the security features work in the gaming industry. With the assumption that client-side security will always fail, the gaming industry constantly performs server-side checks to ensure if the games are performing as it should be with no modifications. Since online gaming is always vulnerable to hackings, frequent updates are done with due respect to the user experience too. By going through the codes one by one, the hackers will be able to modify the games which can be prevented by anti-debugging that the gaming industry implements. Sometimes the gaming software itself can be altered to form a malware that can hit the game developers and spoil the reputation of the company. So, the runtime integrity checks are used by the gaming companies to prevent this mishap. Some websites have payment gateway which is encrypted letting transactions go through a secure gateway. The bank transactions are thus totally protected. The online gaming, therefore, is a haven for safe play where security system is foolproof. If only the games are chosen from reliable sources and players themselves are aware of how to keep the information safe and secure at their end, online gaming can be completely free of hacking.